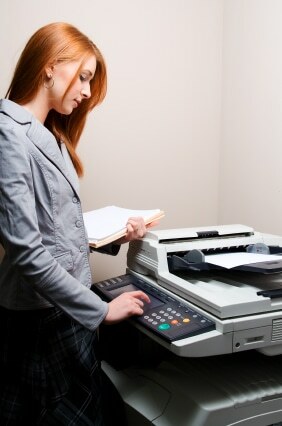 Getting the most from your copier means that you will have to monitor its performance. However, doing this will also lengthen the lifespan, and it will reduce the amount of service calls needed because you took good care of the copier. The first step is to report a problem if it continues to slip up. Let someone know and tell your employees to let you know. You can appoint someone in the office as the go-to person for simple repairs. Second, always make sure that you are using approved toner and ink cartridges inside your copier. Using the wrong toner inside your machine can cause it to malfunction. If you have a power-saving feature, turn it on for the evenings and weekends to save money on electricity. Not only will it do that, you will extend the lifetime of your copier. Finally, you have to understand that as your copier ages, the internal components will break. For that reason, having a plan to get your equipment back in operation as soon as possible is crucial. We can help. To learn more about getting the most from your copier, call today!